Born in Minnesota, Ben attended Luther College in Iowa. He has always been a natural emcee and music lover. At college Ben helped plan school events and was always in charge of the music and hosting the night. He has emceed everything from talent shows, networking events, and formal dances. Following school, Ben worked in Washington DC for a MN politician. His favorite responsibility was leading groups of vacationing Minnesotans on guided tours of capital hill. When not DJing, Ben works as a Youth Coordinator facilitating retreats with kids of many different ages. 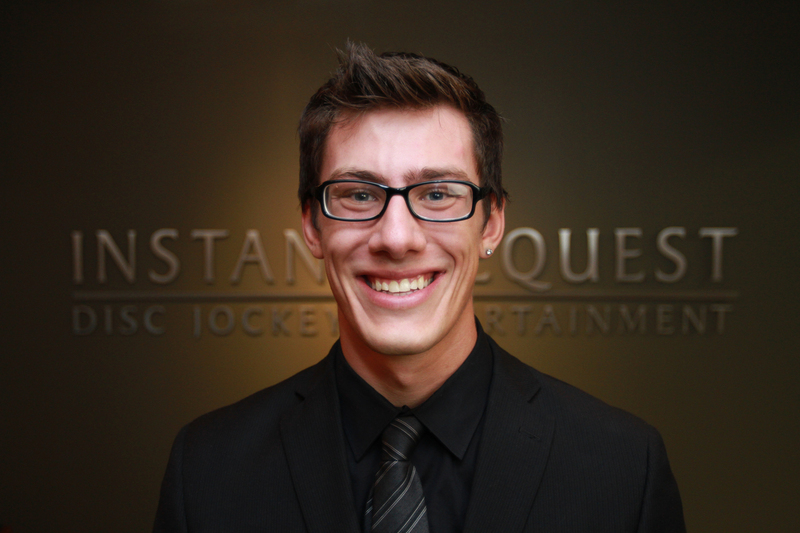 It is Ben’s approachable nature and emceeing experience that make him an excellent DJ. The office staff at Instant Request were amazing. James and I planned our wedding at Mill City from NC. Everyone was very accommodating in making time to meet with us when we were in MN, answering phone calls, and responding to emails. Our DJ, Ben, was great. We had some timing issues because of rain. He not only ran around to change the sound systems around, but was always there to ask us our thoughts on the change in schedule and what we wanted for the night. The music he played fit with our planner and taste well. He was great! The sound and lighting were perfect. We planned our wedding from out of town. Some vendors were not only hard to get a hold of, but also very difficult to plan with from NC. So, my favorite thing about Instant Request was the ease of planning. It was nice to know I could call or email to get not only a quick, but friendly response. Everyone was so wonderful to work with and it was nice to have individuals who cared about making our day as we envisioned. We were more than pleased with the service we received from Instant Request. The price for the quality of service we received was well worth it.